These are just a few examples of the negative effects refined sugar has on the body’s functions. Worse, did you know that sugar can cause your skin to sag, wrinkle, lose volume and generally look old before its time? Glycation is a metabolic process that occurs when you consume refined sugar or certain foods that have what is known as a high glycemic index, or GI. This would include white bread, white rice, and white pasta. Although they aren’t sweet, these foods are readily converted into glucose once in the body. Glycation occurs when glucose, especially high levels of it, attach to certain proteins in the bloodstream. This produces an end-product with an ominous name: Advanced Glycation End Products. If you abbreviate it, it spells out AGEs. And that’s just what it does to your skin. Young skin looks firm, smooth and plump because it has plenty of support from protein fibers called collagen and elastin. When these fibers are weakened, such as by the sun and the normal aging process, wrinkling and sagging occur. No one can stay young forever, but AGEs can speed up the natural aging process considerably. This is because AGEs are toxic compounds. When they bind with collagen and elastin fibers, they damage them. The result is visible, accelerated aging of the skin. What about fruit? Fruit is a little different. For one thing, it contains fructose, not sucrose, which is the technical name for white table sugar. When you eat an apple, for example, you aren’t just eating pure sugar. Most fruits contain a high amount of fiber. This fiber slows the absorption of the fructose. Fructose doesn’t cause insulin levels to spike suddenly like refined sugar does. In other words, an apple delivers fiber, vitamins, anti-oxidants and a limited amount of fructose. It doesn’t cause the massive influx of sugar to the bloodstream that refined sugar does. The more glucose that is present in the bloodstream, the more AGEs will be formed. When consumed in reasonable amounts, fruit is good for you. The anti-oxidants in fruit also fight cell damage from metabolic toxins known as free radicals. AGEs don’t just make you look older. By triggering and maintaining a state of chronic inflammation within the body, they may contribute to the development of heart disease and cancer. If you can, cut out all refined sugar completely. If you cannot, do what you can to at least reduce your refined sugar intake to a maximum of no more than five to 10 percent of your daily calories. Your text to link… Many people experience intense cravings when they try to stop eating refined sugar. Try reducing your intake very slowly. Your body and skin will benefit tremendously. Many patients who come to see our practice are throughly confused about the types and methods for hair transplantation or hair restoration. We have found it best to fully educated our customers so they know what is best for them and their unique hair needs. The comparison of the FUE and FU Strip Method and MFU is sometimes complicated so during your free consultation, Dr. Zacco will create an individualized plan for you and explain your options. Together, Dr. Zacco and you will decide on a plan that is right for you. 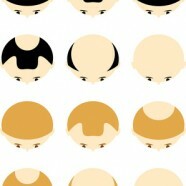 A comparison of Hair Transplantation methods. Optimal if relatively small number of grafts are required Optimal if a large number of grafts are required. Optimal of large number of grafts are required and much density is desired and donor tissue preservation is required. Best for density. More transected follicles than Strip Method Less transected follicles transplanted compared to FUE method Least transected of all methods which means more hair growth per cm2 of tissue harvested. After a thorough evaluation, Dr. Arthur Zacco will answer all your questions and make sure that you have a complete understanding of your options. Hair transplantation information can be confusing and even overwhelming to most patients so please take advantage of our free consultation so Dr. Arthur Zacco and staff can help you make the decision that is right for you. 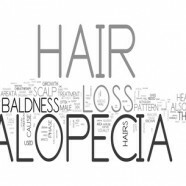 Hair loss Alopecia is a condition with different causes, but the most common form is male and female pattern hair loss alopecia. 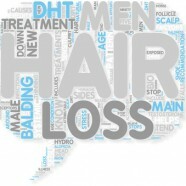 This occurs when the scalp follicles are exposed to certain hormones such as dihydroxytestosterone, also known as DHT. If you are genetically programmed to undergo alopecia, at a certain age, your scalp follicles in certain areas of your scalp will atrophy or deteriorate resulting in hair loss. There are many treatments for alopecia such as hair transplantation, wigs, weaves, Propecia, Rogaine, LASER light treatment, and topical solutions. The gold standard for male and female pattern alopecia is hair transplantation. Compared to hair transplantation, all other forms of hair restoration are much less effective, at least as expensive and much more time consuming. Once the hair transplantation process is completed, patients never have to think about or treat hair loss again. Compared to other surgical procedures, hair transplantation is relatively safe. The transplanted follicles, sweat glands and oil glands are living tissue. If hair is pulled out, new hair will grow in behind it. Transplanted hair grows for life and grays naturally with the rest of the hair requiring no special care. There have been many important and significant improvements in hair transplantation. If it is done properly, it will be virtually undetectable and will appear completely natural. Follicular unit transplantation is now used by the leading hair transplant surgeons. Hair shafts exit the scalp in groups called follicular units. The number of hairs in each follicular unit ranges from 1-5 hairs. Donor tissue from the scalp is harvested from alopecia resistant areas, from the back and sides. With the use of stereomicroscopes, the follicular units are isolated, producing ultra-fine follicular grafts about 0.5 millimeters in diameter. The older technique resulted in grafts about 1.5 millimeters in diameter. Smaller grafts appear more natural and waste less tissue. The final result of transplanted hair takes 6-12 months and is a relatively inconspicuous process compared to wigs and weaves. Utilization of the smallest grafts is known as ultra fine follicular unit hair transplantations, which are virtually undetectable and appear completely natural. In fact, many people you see have had hair transplantations but they go completely unnoticed. I have been told many times that the hair dressers of my patients cannot tell that they have had hair transplantation even after examination. There have been other innovations with hair transplantation. The anesthetic process results in a nearly pain-free surgery and recovery. Five years ago, the average hair transplant session was about 700 grafts or less, but with advanced techniques and technology, sessions now average 2,000 grafts. This means that the restoration process can be accomplished with fewer sessions, many times requiring only one session. There are many things to look for in choosing a qualified hair transplant physician. Make sure that the doctor has many years of experience. The board certified doctor should have an appealing before and after picture gallery and prior patients who are willing to talk or meet with you. It is an absolute must that the procedure is performed using experienced hair transplant technicians employing the follicular unit technique using stereomicroscopes. The physician should be a local doctor with ownership in the practice and should be available after the procedure if you have any questions or difficulties. The doctor should be present every step of the way from consultation to completion. The transplant procedure should use single hair grafts in the hairline that provide a natural and feathered appearance and multi-hair follicular units behind the hairline to provide density. Before and After Hair Transplantation Images provided by Dr. Zacco of Raleigh. 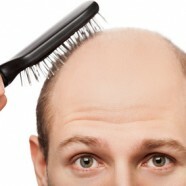 With over 20 years experience in hair replacement procedures we can address any hair loss needs.